Kick-off meetings are an effective basis for a successful project start. In this article we explain why that is, list the most important elements of a kick-off meeting and give you a checklist for planning one. Why is a kick-off meeting useful for project management? How to organize a kick-off meeting? And at the end we give you a checklist for planning your kick-off meetings. Essentially it is a briefing of and with all project stakeholders, even the customer. It often marks the official start of a project or is scheduled before the start of a new, important phase of a project or sprint, if you are an agile team. It is not unusual that the kick-off meeting is the first time for everyone to meet either face to face or in a virtual meeting. So, a kick-off meeting is also a way of getting to know the project team. 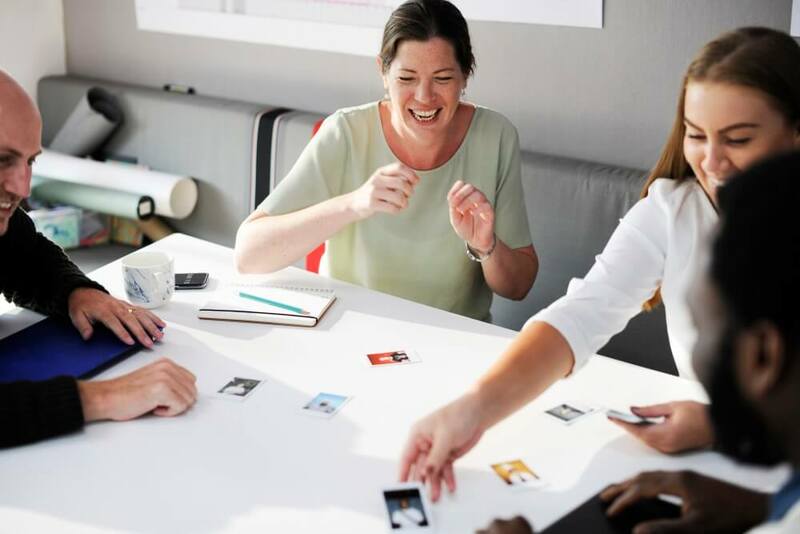 Especially for project staff of dispersed teams, this is an important benefit of a kick-off meeting as it is unlikely that they will all meet in person during the project. A kick-off meeting, however, is not for project planning. The project plan should have already been drawn up and the kick-off meeting is held at the start of the actual execution of the project. In short, it is a way to bring everyone involved on board, let everyone have the same information about the project and to ensure that everyone knows what is expected from the project. In case of larger projects, such as federal construction projects, press conferences are also held or selected press representatives are admitted to certain parts of the kick-off event. Such projects are usually accompanied by professional project marketing. At the end of a kick-off meeting, you should leave enough time for questions. Also, make sure that you summarize the points discussed during the kick-off meeting and consider the next steps in the project’s execution. And, of course, don’t forget to provide time and space for a relaxed winding-down and opportunity to network afterwards. Clarify responsibilities: Which team member should fulfill which function in the project? Concluding remarks: A kick-off meeting is about setting the first steps for the project and not about the details. Comments, criticism, concerns, etc. should be taken seriously and written down. However, there should be no discussion about details of the project plan or individual tasks. You can also download the above described approach and checklist for free and use it productively. 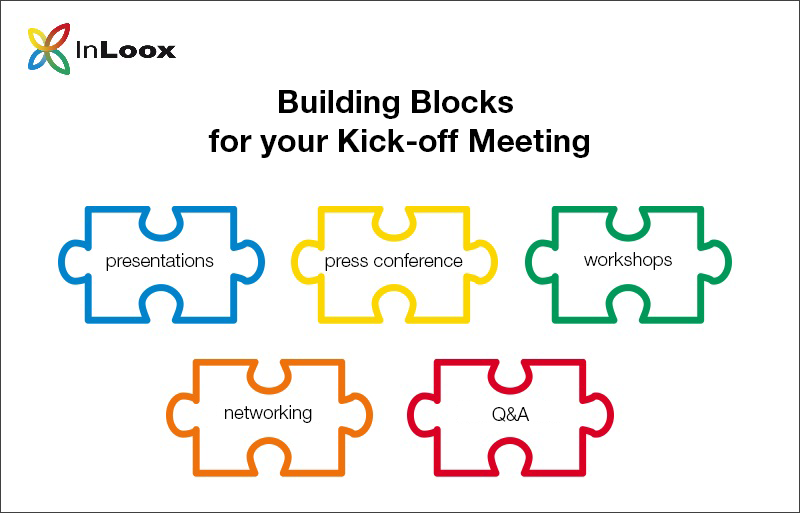 If you work with InLoox, download the planning template including tasks for a kick-off meeting here. The Kick-off Meetings: Checklist for a Motivating Project Start - InLoox • Copyright 1999-2019 © InLoox, Inc. All rights reserved.